Hoodies are the best, they truly are. But a hoodie that looks this good and feels this good? Well, then it's just perfect. This Men's Grey 1910803 004 Logo Panel​ ​Zip​ ​Sweatshirt from Caterpillar is as tough as you might expect from this brand. Just like ... (see full details) (see specifications) #1910803-004. Hoodies are the best, they truly are. But a hoodie that looks this good and feels this good? Well, then it's just perfect. This Men's Grey 1910803 004 Logo Panel​ ​Zip​ ​Sweatshirt from Caterpillar is as tough as you might expect from this brand. 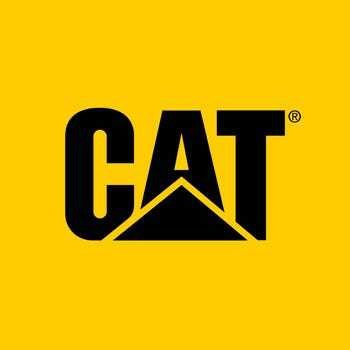 Just like their equipment, CAT makes workwear that lasts on the job site. This hoodie is perfect for any work hard-working person and is also a great choice for your crew, ask us how you can add some custom embroidery to really professionalize this zip-up hooded sweatshirt. This heavyweight 10.6-ounce sweatshirt is made from 70% cotton and 30% polyester for a fleece that is both soft and durable. The handsome heather gray coloring with bold contrast and logos included looks tough. The best part is, this hooded work sweatshirt works as tough as it looks. The rib trim around the sleeve cuffs and waistline is made with Spandex to make sure it maintains its shape throughout the life of the sweatshirt. This also seals in your body heat as you work. The full front zipper makes it easy to get your sweatshirt on and off throughout the day and the attached three-piece hood is shaped to fit your head and has a contrast lining for an extra pop of style. The contrast yoke and side panels brings extra toughness in style to the overall look of the sweatshirt. The Caterpillar logo name is written in large print down the right sleeve and the smaller CAT logo is located on the bottom left pocket. The large front hand warmer pockets are perfect for carrying small tools as well. There is a hidden cell phone pocket with hook and loop closure that keeps your phone secure while you work. The built in S3 cord management system allows you to strain your headset or headphone cords up through the inside of the sweatshirt, keeping you safe out on the job site without cords getting in your way. Bold, strong, tough, this ​Men's​ ​Grey​ ​1910803​ ​004​ ​Logo​ ​Panel​ ​Zip​ ​Sweatshirt has the appropriate logos attached. Just like all CAT equipment the sweatshirt is built tough and made to work. Caterpillar Sweatshirts: Men's Grey 1910803 004 Logo Panel Zip Sweatshirt is being added to your cart.